After the fall of Egypt to Rome, Caesar arrives in Egypt to set up Roman Government and to collect taxes. While talking to the Spinx, he finds Cleopatra hiding between the paws. He finds her hiding from the Roman Troops. 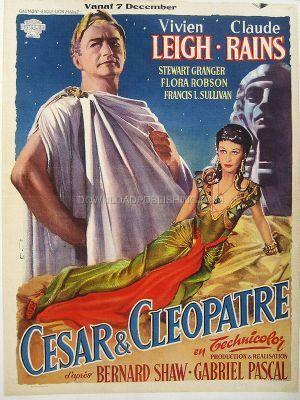 shes just a scared Little Girl, but Caesar trains her to become the Queen of Egypt.